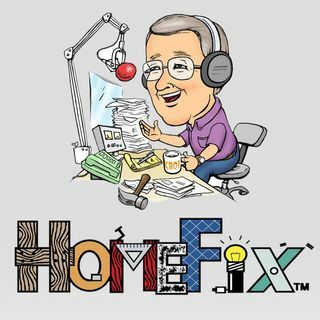 The HomeFix Show is a, live listener interactive program with industry experts and spokes people, local guest professionals, and listener phone calls. The show focuses on all areas of home repair, remodeling and construction with an emphasis on doing it yourself. The show has been on continuously since the fall of 1987. 08-25-18 Randy Funk home inspector brings us up to date. Joe talks about home insurance and a home inventory. 08-18-18 How to ask for help on social media; Justin and Jess from Envi Pest and Lawn talk about bugs and lawn care. 08-11-18 Window talk with Jay Pearson; counter tops; exterior painting; shingle damage; water softeners; crawl space ventilation. 07-28-18 Discussion topic of how long people live in homes. Also attic heating systems; water softener repair; mobile home roofing. 07-21-18 Shower doors; garage door repair; driveway drainage; ceiling replacement; becoming a contractor; refinishing a deck. 07-14-18 Air conditioning with Stanley Johnson-Heating Equipment Company. Also, whistling faucets; carpenter ants; ceiling insulation. 07-07-18 Removing interior walls; prepping for deck finish; roofing shingles; house wrap; storm doors. 06-30-18 Granite counter tops; Rock Bottom Granite; Permatreat sealants for stone surfaces and concrete. 06-23-18 Contractor shortage; unaffordable housing; driveway damage; patio stones; painting advice.